Articles will be added as written, links added as discovered. Our pets are tremendously important to our welfare and well being, let us educate ourselves together! Do All Dogs Have Fleas? Well, in one word, the answer is no. All dogs don't get fleas, we currently live with seven dogs, and not a one of them has fleas as of this writing. Over the course of the summer, usually only two of them will get fleas. This I believe is because of the following steps I have taken. The process of putting something on your dog to control fleas isn't even half of the issue that needs to be looked at. 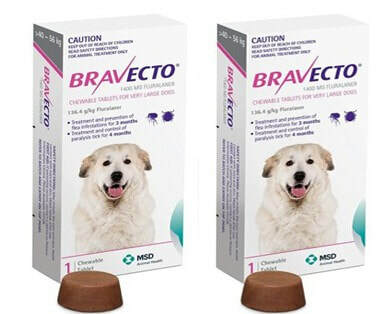 I am staunchly against treating a dog with a flea preventative on the rotation requested by the manufacturer. I don't like any of the "cides" as in pesticide, but there comes a time occasionally when you are stuck there. At this juncture, minimal use is the game of the day. Unless you are feeding a great infestation in your home itself, fleas have a cycle. I love hard winters because they help destroy the fleas. My dogs do not wear flea collars, and they aren't treated with any of the topical flea killers. When things do get out of hand, they will receive a reduced portion of Bravecto, which is the only thing I have found that is the safest out there right now. I used Program for several years with our Duke, and it worked beautifully. Unfortunately I can't find it anymore. Your Dog or Your Home is infested. You can bet that if your dog has fleas, your home has fleas. Both must be addressed at the same time. First I would prove that there are fleas in the home. You can do this really easily by plugging in a night light with a sticky pad in it that attracts fleas. I got my first one from our local Farmer's Cooperative Store. But they are available on Amazon now as well. DON'T FALL FOR THE PRICE ON THIS AT AMAZON! The thing is under $20.00 at the Co-Op! Anyway, it will tell you in one night if you have fleas in the home. Shampooing a dog for fleas is your first line of defense on making the dog feel better. You can see them all and will have to pick some of them off as you bathe. Note: Start at the back of the dog and work forward, all the fleas will try to run to the dogs head when they figure out what is going on, so it will be easier to get them all by doing the head last. Also, once the dog's head is wet, he will shake all over and you get soap in your eye. Most of the available flea killer shampoos are junk anymore. The quickest and best knockdown for a flea on a dog is a bath with the original blue Dawn Dish Detergent. Scrub a dub dub, the pup's in the tub. All you are doing is getting the current fleas off him, and using a pesticide in a shampoo just isn't going to really help any longer than the dish detergent. I have had clients report to me over and over again that they can't get the fleas out of there home. One woman bombed her home three times to no avail. This is your first line of defense. The house has to be cured, the animals bedding has to be laundered. The secret is Hartz mountain Ultra Flea Fogger. Unfortunately it is the only one that really works, has for years, and it has a residual flea kill of 240 days. I can't stress this enough. It comes with 3 canisters. Each one will do 2000 cubic feet of space. This amounts to a room 16 x 16 x 8. So you have to do the math to get them all in one application. My home is 12,000 cubic feet, so I use six canisters. Which is two packs of the stuff. You can get this at Walmart in the pet section, or order it from Amazon. I prefer this method because they last for years, creating their own little world below ground. There are two different ways to apply them, and I had to get mine off Amazon, cause nobody knew what I was talking about around here. For many years, our Duke used a Program for fleas. This was before I knew that healthy dogs didn't attract fleas. I only gave the Program chewable to him in the summer, and after a few years quit the practice altogether. As I stated earlier, in our pack we only have a couple of dogs who get fleas. The last line of defense for them is I get Bravecto from the ink below the picture. I purchase the largest size tablet, then I portion it out to the dogs based on their weight. I also short the portion, because it doesn't seem necessary to give the exact amount. Bravecto lasts for three months, so I usually don't use it until August. ​Before that I may apply Sentry Natural Defense to my two little flea carts. A new, zillions of years old product that has recently come to my attention. Very interesting.